For digital offices, IHR Digital always seems to have a lot of paper products around. At the nexus of Reviews in History sits the Great Cham of reviewing, Danny Millum, with teams of assistants bringing copies of the latest history titles to his desk. The editors of the Bibliography of British and Irish History (BBIH) amass neater piles of books and articles as they carefully check page references and scan collected volumes for chapters relevant to British history (often a fine judgement). It was in this stack that I found the 2011 edition of the journal Memoria y Civilización, which has an article in it by Heather Shore, called ‘Inventing and Re-Inventing the Juvenile Delinquent in British History’. That immediately interested me because of the riots that took place in London and other cities last summer; what struck me about the commentary on the riots was how completely unhistorical practically all of it was. At the time I was working on a digital project to classify the documents in the series English Historical Documents and I was using the terms “urban” and “riots” quite frequently. 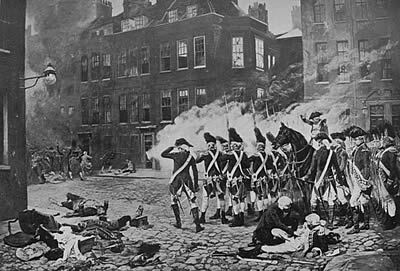 Just to pick a couple of examples, there were riots by apprentices in London in 1584; there were riots caused by the imposition of the prayer book in Edinburgh in 1637; and troops were used against rioters in London in 1768 and 1780. I was using “urban” and “riots” to mark up these documents because these are the terms used by BBIH. Searching “riots” and “urban” on BBIH today gives me 139 results: there has clearly been plenty written on this topic. ‘Whilst…moral panic and concern about youth was not a phenomenon of the later Victorian and Edwardian period, there is little doubt that by the early twentieth century the ‘youth problem’ had a specific texture. It is said, that the introduction of the military in cases of riot is a novel practice. Sir, the standing army itself is novel: it is but eighty years old: the practice is very old compared with the existence of the army.